They call it Paarglass. It is a highly nutritious vegetable growing around Gulmarg and is in huge demand throughout the world. It is asparagus. Most of the people and entire government are unaware of this vegetable that many think carried anti-carcinogens. Mohammad Shaban Khanday, 75, a resident of Kalantra Baramulla started cultivating asparagus in 1985. This crop actually replaced his cherry fields. Deep into a bowl in hills, locally called Hapat Naar, he is cultivating this vegetable on two kanals of land. Shaban is still cultivating the vegetable and marketing it. But gradually he is getting lonely. The reason is the market. Shaban remembers his battle to grow the vegetable. “I hearkened about asparagus from my friend in Rajbag, and then I took seed from the Indian Institute of Integrated Medicine [IIIM] Sanatnagar and started growing it,” Shaban said. Asparagus is a small slender vegetable, derived from the stem of asparagus plant. Only young shoots are eaten. It is a perennial crop. 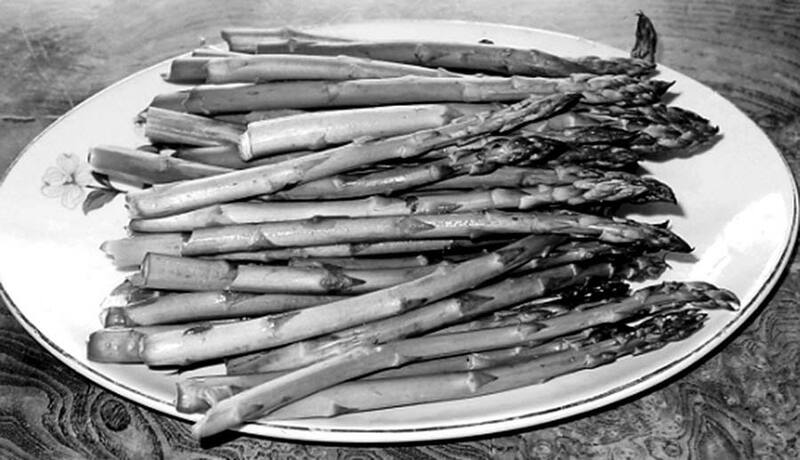 One interesting thing about asparagus is that it is sown once and then it grows shoots for 15 years or more. The fleshy green spears of asparagus are both succulent and tender and are considered a delicacy since ancient times. This highly prized vegetable arrives with the coming of spring when its shoots break through the soil. In Kashmir, it grows between April and July. Shaban said his family consumes the delicacy and sells it too. It is also being fed to patients, who cannot swallow food. They use it steamed. It is a delicate vegetable. It is being marketed in boxes. Though every shoot is almost 6 inches long, part of it is cut before it is boiled. People usually add salt at the time of boiling. It is only after this process is complete that the vegetable is being packed and exported outside Kashmir. The commercial boiling takes place in Srinagar only. The vegetable is in demand in Europe and US because it is an excellent source of foliate that lowers the risk of cancers in colon, pancreas, and esophagus. Besides, it is vitamin C and beta-carotene rich food with huge anti-oxidants. It also contains the Saponins, known for their anti-inflammatory effect. But the bad news is that its production is declining almost at an alarming rate. The main reason is that accessing the remote belts is expensive. Sanaullah Wani, a Consultant at IIIM Yarikhah Tangmarg said they can provide people seed free of cost if they choose to cultivate the vegetable. Seeds are sown in February and then saplings are transplanted. The spears are cut well before it starts producing seed, farmers said.